What Is Australian Hearing & What Services Do They Offer? Hearing Choices/Report/What is Australian Hearing? What Services Does Australian Hearing Offer? Did you know that Australian Hearing is a statutory authority established by the Government in the late 1940s? Many people don’t know that Australian Hearing is in fact a Government funded organisation. In fact Australian Hearing is the leading supplier of hearing services in the country focusing mainly on providing hearing health care to patients through their vast network of hearing centres throughout Australia. The Government body was actually set up in 1947 originally to help provide hearing services to children who were affected by a rubella epidemic. The company was also founded to help World War II veterans with their hearing after many of them experienced hearing problems. 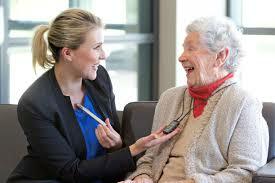 Today Australian Hearing’s customers are mainly children, veterans, indigenous adults over the age of 50 and pensioners. Australian Hearing provides hearing healthcare under the Australian Government Hearing Services Program that is run by the Office of Hearing Services. The programs offered by Hearing Services fall under two main categories the Community Service Obligations program and the Voucher Program. In order to receive hearing services from Australian Hearing however, a patient must meet certain eligibility criteria. Who Is Eligible For Australian Hearing Services? Any of the above are required to obtain a voucher from the Government which entitles you to subsidised hearing. What Does A Voucher Entitle Me To? As mentioned above, Australian Hearing provides a whole raft of hearing services including testing, consultations about hearing loss and even dispensing hearing aids for those that need it. All these services are free of charge if you qualify. Once you’ve qualified for Australian Hearing services you will receive hearing aids for free other than a tiny annual fee for device maintenance and batteries. Are The Hearing Aids From Australian Hearing Good Quality? Even entry level hearing aids are expensive with the devices fitted to patients by Australian Hearing costing roughly $1,000. These aids do the trick and will definitely help you to regain some of your lost hearing. Better quality hearing aids are also available to clients who are after better technology such as bluetooth connectivity and background noise cancellation. However, in this instance customers are required to folk out more money to cover the difference in price of the higher end tech. What If I Don’t Qualify For Australian Hearing? If you’re not eligible for the free health care offered by the Government body you may still be eligible for discounted hearing care through the National Disability Scheme which was rolled out in July 2015. However, if you still don’t qualify speak to an expert at Hearing Choices using one of the contact methods found on this site. We can help point you in the right direction and find you an effective solution to your hearing problems today.